Learn about Avature’s recruitment software for businesses. Includes info on Avature, free trials, pricing, customer reviews, and FAQs. Avature is a recruitment platform for businesses. Avature’s solutions include applicant tracking, campus recruiting and employee referrals. Businesses can use Avature to streamline recruitment processes. Avature does not list pricing on their website. You can contact Avature here to get a tailored quote based on your business needs. Pros: The software is very configurable and easy to use. Cons: Inability to search within datasets and no group chat function. Bottomline: Great tool to efficiently manage recruitment processes. Is there a Avature free trial? Unfortunately no free trial is available for Avature. What is the Avature CRM? The Avature CRM is candidate relationship software. It helps companies to keep track of important details about potential employees and is designed to make forming a relationship with candidates easier and more scalable. Where can I find the Avature login page? Companies with an Avature account will receive their own subdomain they can login from. It will likely look like this: companyname.avature.net/login/. Is the Avature ATS good for small business? Avature is designed for enterprise-level companies, so not particularly with smaller business in mind. Still, if you do a lot of hiring, it may be worth demoing their software. Is there an Avature API we can use? 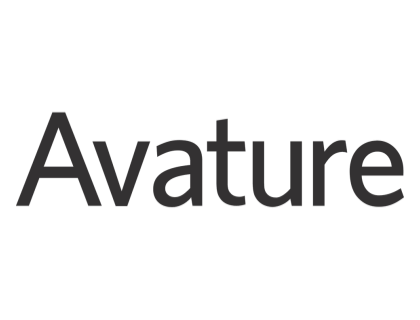 Yes, Avature offers a REST and SOAP API suite. You'll need to get in touch with them for Avature API documentation. How does Avature CRM pricing compare to others? Avature does not publish pricing, or a price range. You'll have to get in contact and get a quote for your particular needs. Is there Avature training available to help my team prepare for using it? Yes, Avature has a team of trainers that can work with a company virtually or on location to help them get up and running on their software. They offer Avature CRM training, as well as training for other features. What are some Avature alternatives? As an Recruiting Systems SME it is always a pleasure to work with companies that are in the cutting edge of technology like Avature, and above all the quality of their product and the diligence of their people to help my clients succeed.